I usually find that my cats are fairly uninterested in my world, unless it directly overlaps with their own in terms of being fed, getting the head scratched, whatever. 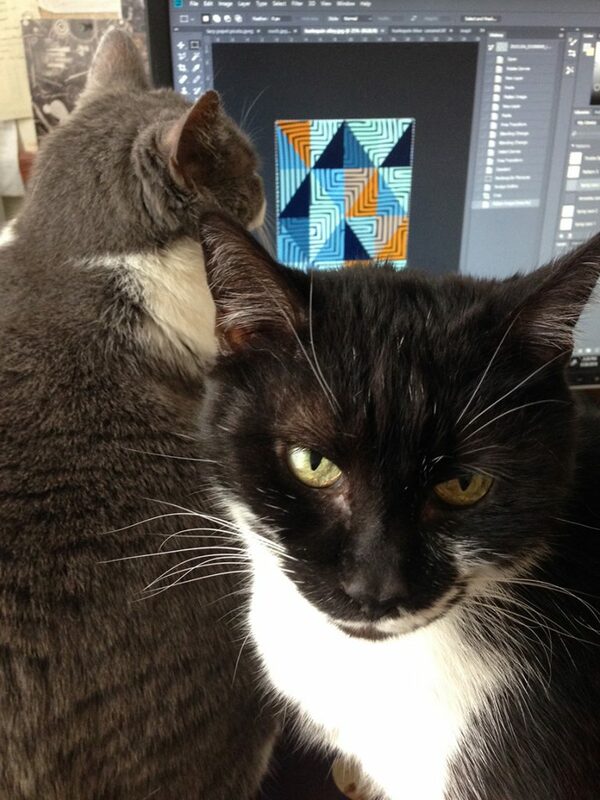 The two cats at my studio have recently begun piling up directly in front of my computer, begging for attention. My attention is focused there, hence it is their main mission to distract me from my work so I will pet them. This morning, after the usual frantic purring and thrusting activity from the grey cat, however, she settled back to rest and purr. Later, I noticed that she wasn’t sleeping. She was intently watching the computer screen as I made changes to a design. Who knew? I have held cats up in front of mirrors as they demurely refused to acknowledge the image of the kitty opposite, so I had assumed that they simply were not interested in two dimensional representation. My story is now being corrected. 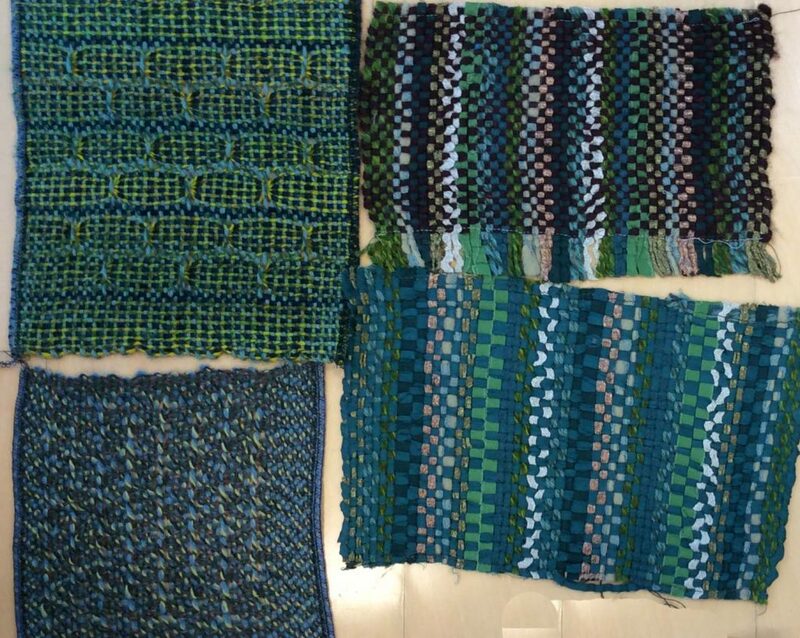 This entry was posted in creativity, design, LFN Textiles, Uncategorized on March 28, 2018 by Laura Foster Nicholson. I love vegetables — I love to eat them, I love to grow them, I love to draw them. When I first saw the vegetable garden at Monticello, first designed by Thomas Jefferson in the late 18th century, restored under Peter Hatch at Monticello in the 1980s, I was mesmerized by its beauty and its long, ribbon-like proportions. 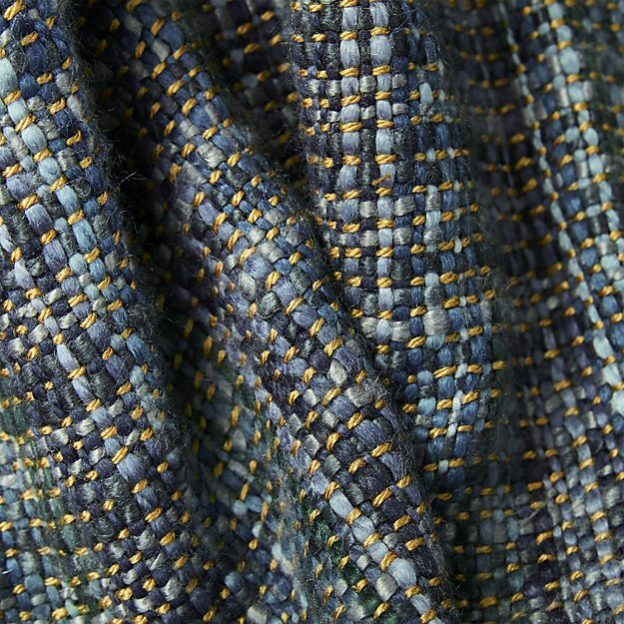 At about 80 fet wide by a thousand feet long, it seemed like a giant, patterned textile just unfurled from the loom. 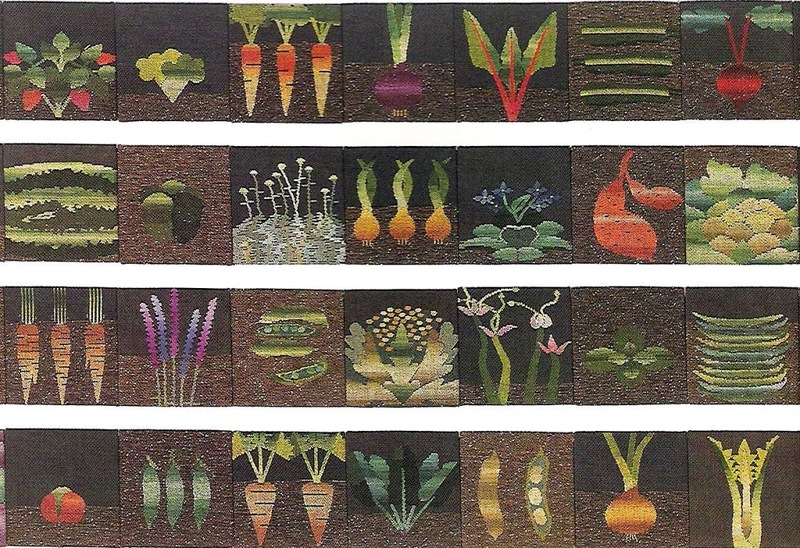 So I set about making a series of tapestries trying to describe the scope of the garden, from seed-sprouting and seed saving, through a woven catalogue of dozens of vegetables planted there. This last piece, “Harvest 1992” (1992 was the planting year I referenced, it was woven in 1993) became a lexicon for me of woven form which I have referred to over and over again ever since. 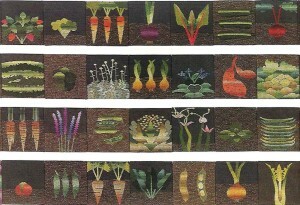 Long after the tapestries had been exhibited and sold, I designed a ribbon with some of the vegetables which we still produce’ Crate & barrel licensed that design for kitchen towels for several seasons too. And most recently I was contacted by The Battery Park Conservancy, who have now licensed the design for use in fund raising efforts for their Urban Garden, due to open this spring. “The Battery Conservancy presents the first Urban Farm at the Battery since the Dutch planted their cottage gardens in New Amsterdam in 1625. 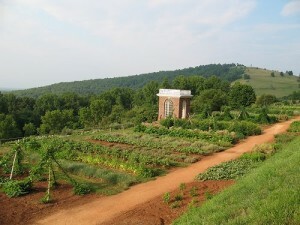 High School’s Environmental Club to plant a vegetable garden in the park. Saying YES launched a farming initiative that now includes EIGHT schools with over 450 students (K-12). The Battery Conservancy is expanding the program to include community groups, residents, and the neighboring workforce who long to give their hands and hearts to cultivating and harvesting home-grown food.” How cool is that ? 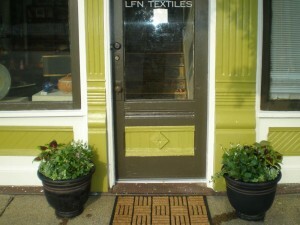 This entry was posted in LFN Textiles, Monticello, weaving on March 18, 2011 by Laura Foster Nicholson. I was writing to someone today describing the wonderful place where I live & work and I thought, I should post this on the blog. 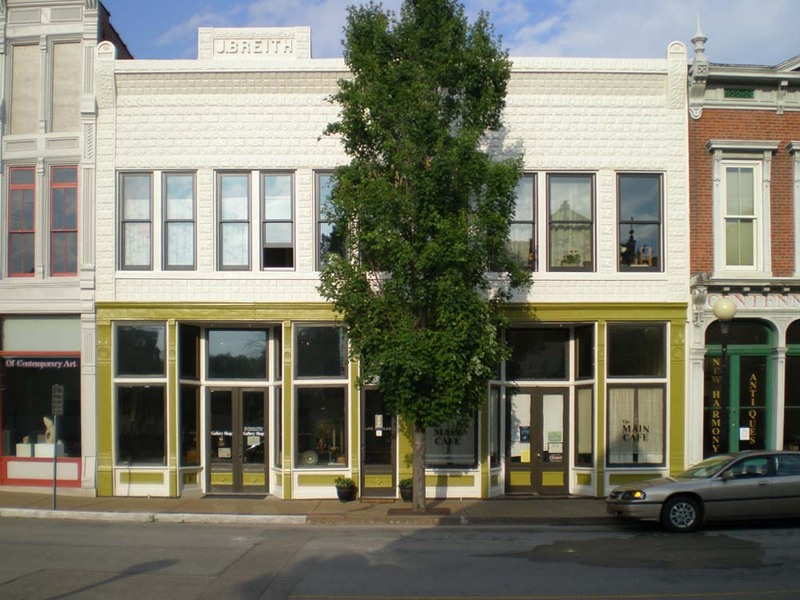 So here is my beautiful studio building in New Harmony. 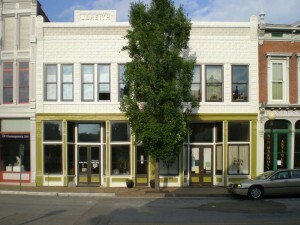 I am smack dab in the middle of Main Street, and my studio comprises the second floor of what is actually two buildings. I painted the building last summer (when I say “I” I mean the wonderful Rodney Wade) in a striking chartreuse green which I somehow got past the historic committee. The building on the right ensconces the venerable Main Cafe, which has been noted in a column by Jane & Michael Stern (who write about good regional food on the road). They are open from 5:30 am to 1:00 pm: how’s that for a working day? I smell bacon & eggs all day upstairs. Conversation drifts up between the floorboards into my weaving studio, which is above the dining room. This entry was posted in LFN Textiles, New Harmony on February 12, 2009 by Laura Foster Nicholson.